The best thing happened to me the other day! I stumbled upon a book with a fun, original cover, which screamed 'Regency' and had a fascinating description. In addition to this, the book was in a clearance pile in a second-hand bookstore, so I grabbed it without a second thought, knowing nothing about the author and never having heard of it before. When I got home I opened to read a page, just to see if I liked the writing style. And, that's it. I'm in love. 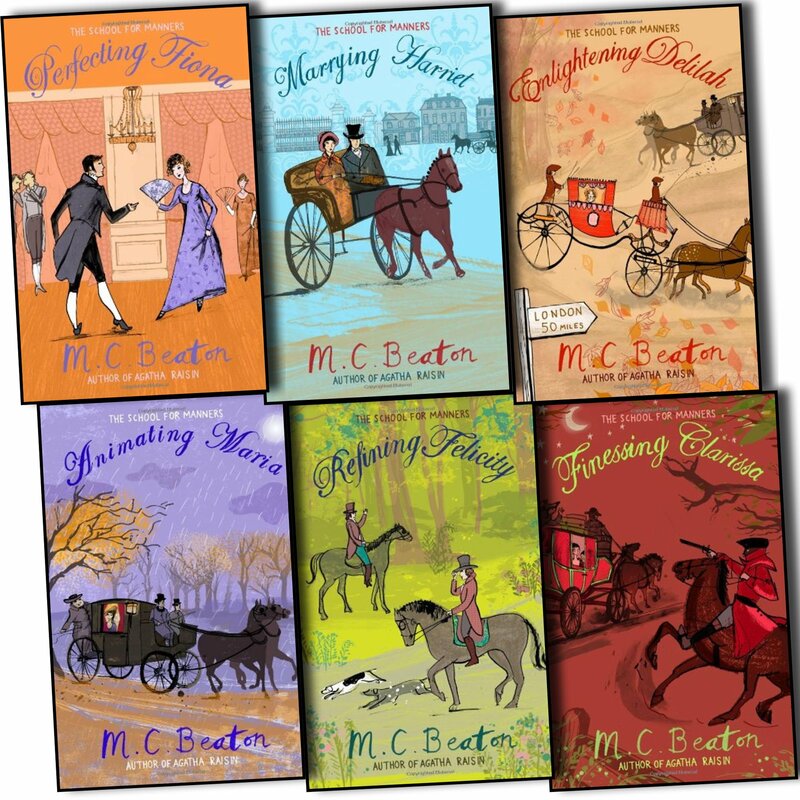 The Poor Relation hotel is the toast of London and its owners are preparing to sell up and retire - but one last romantic adventure awaits them! Driven into hiding at the hotel by a tyrannous father and a rich but wizened suitor, Lady Jane Fremney attempts to end her life. The poor relations save the young lady and determine to improve her lot in life by bringing her out for the Season. All the young bucks call on Jane, among them the handsome but racy Comte de Mornay, an exile from Napoleon's France who has broken many a heart and so far eluded matrimony. Jane is quite adamant he is unsuitable for her - but when his life is threatened by an assassin's pistol, it is up to her to help him escape from danger... and into l'amour! So, right off the bat, I was hooked. A wealthy lady, running away, almost committed suicide, plus a hotel founded by a bunch of ex-poor relations... Sounds yummy, right? Well, it wasn't all fun and laughs. There was an unexpected depth to the story, dealing with issues of depression, loneliness and despair. It was about family, not necessarily one's birth family, but the one that is formed from ties with people who care and help one another. It just warmed my heart. There is of course the scoundel who ends up reformed -or does he? 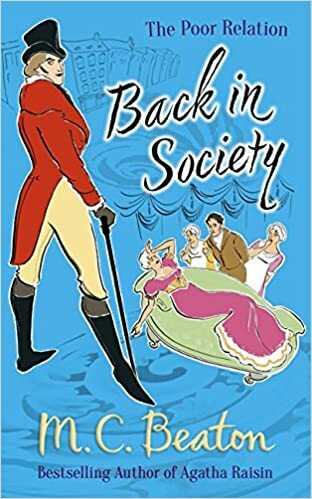 I'm telling you one thing, and those who follow my blog and reviews know that I NEVER say this lightly, but the wit and humour of this book (particularly of one character) can only be compared to Georgette Heyer's style! I didn't think it would be possible to find another hero with the dashing style and cutting lines of a Mr. Beaummaris (from Arabella), or Justin Alastair, the Duke of Avon (from These Old Shades). But I'm telling you, I DID! The gentle, sad heroine has some transforming to do from an ugly duckling to a swan, and it takes a lot of bravery on her side and a lot of love on the part of the hotel owners -who, by the way, are the most endearing and colorful bunch of characters you've ever met in a book- but she does it by the end, and gets her own happily ever after without any need of rescue from anyone else. I was cheering her on like crazy. 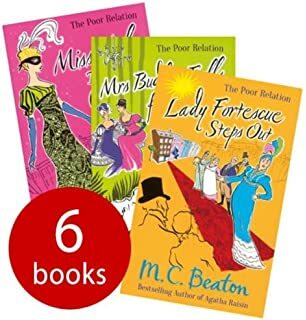 There are a few side stories taking place, a hilarious deception from a girl who is in love with a gent who in turn is in love with a married woman. Also there's middle-aged Miss Tonks, who is looking for a man of her own, in love with a dashing actor who is sending her mixed signals. But most of all, there is an overall feeling of goodness and kindness and good humor. This book was a delight from start to end. It made me laugh, cry, almost have a panick attack. The FEELS. It's short, too, if that's something you're interested in, no unnecessary ramblings or descriptions, which makes it even more of a masterpiece, in my opinion. Of course I sort of hoped it would go on forever, but after finishing it, I went online and found that M.C. 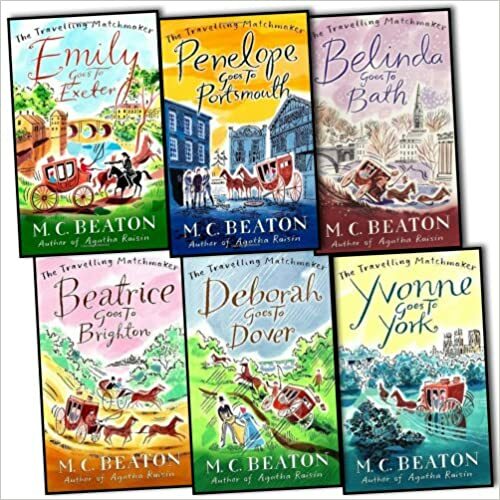 Beaton has written, like, a billion Regencies. These last ones are a few in the 'Poor Relation' Series.